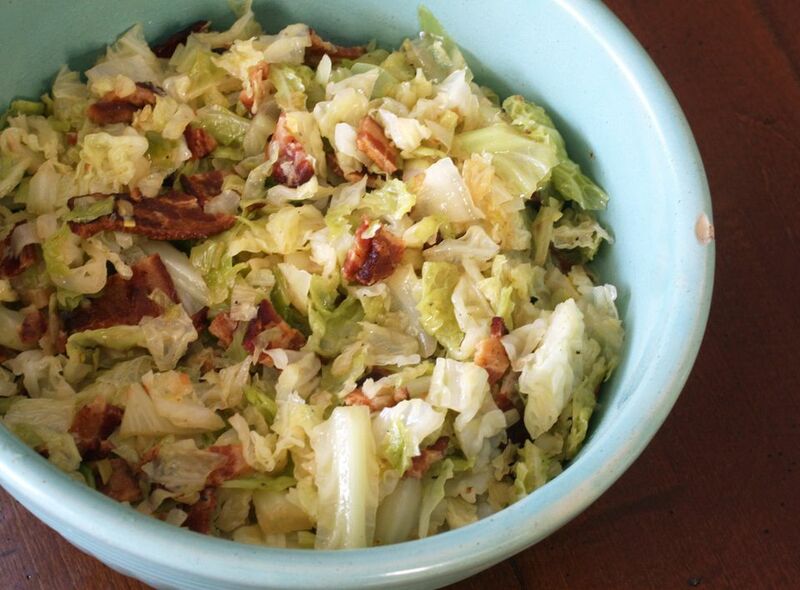 Cabbage, leeks, and bacon go together beautifully, and the dish is an excellent accompaniment for ham, roast beef, or corned beef. This cabbage dish is easy to prepare, has just a few ingredients, and it cooks very quickly. It is a great dish to serve on St. Patrick's Day! Season this easy cabbage side dish with a little salt and pepper and then serve with cider vinegar for drizzling. Cut the green part and root off of the leek, leaving just the white part. Cut in half lengthwise, then rinse well to clean out any dirt and grit. Slice thinly and set aside. In a large, deep skillet or Dutch oven, cook the bacon over medium heat, stirring, until almost crisp. Remove to paper towels to drain, leaving a few teaspoons of bacon grease behind. Add the butter to the pan. Add the leeks and cook, stirring, until wilted, about 4 to 5 minutes. Add the cabbage and the broth or water. Cover and simmer for 10 minutes. Add the bacon, toss, cover, and continue cooking for 5 to 10 minutes longer, until cabbage is tender. Add salt and pepper to taste. Serve drizzled with cider vinegar or pass the vinegar at the table.